In the two months since Michael Griffin resigned as NASA Administrator a successor has yet to be named. While NASA is in competent hands under the interim direction of Chris Scolese we all understand the dynamics of being a “lame duck” especially in the political swirl of the Federal Government. NASA needs a new leader and one that will champion the causes for which the organization is charged and one that will bring the passion and leadership to help the many directorates reach even greater heights. In the past few months many names have been floated as the potential next administrator. Some with agency experience, some with military experiences, others with current roles in government administration and some from the ranks of Congressional leadership. With so many choices where should the Obama administration look for the next leader? NASA’s history doesn’t give us a solid point of reference. Since its inception NASA has flourished during times of strong political backing, clear direction and financial support. It has languished during times when its capabilities and direction have been handcuffed by a diminished or unclear strategy, lack of political will and reduced budget support. 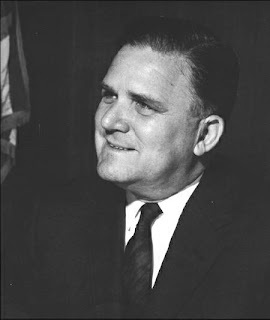 James Webb who directed the agency during quest for the moon is highly regarded as one of NASA’s best yet Webb was not an insider, but also had the advantage of unlimited resources and strong political backing. Sean O’Keefe was also an outsider, but an “administrative professional” as it related to running large government agencies. Michael Griffin was an insider, a highly skilled engineer, and could speak the language of science and physics, but lacked the charisma and political skills so crucial outside the agency. So which direction to choose? There are two fundamental elements crucial to the success of any venture: the first is business acumen - whether were talking about a government agency or a company in the private sector they both need to be run like a business. Managing products, services, strategy, planning, marketing, finances, risk, customers, suppliers, shareholders, stakeholders and delivering flawless execution to a market that wants that product. The second is leadership. Great leaders lead in all facets of the business. One of the great flaws in many businesses is picking the most knowledgeable person about the product or service the organization produces to lead the organization. It can work, but it is a delicate balance for often this model stifles creativity and doesn’t allow the organization to reach its full potential. Rather than all levels of the organization contributing and innovating it drifts into execution of the singular vision of a single person and often that leads to a frustrated team and a “brain drain” as the best and brightest look for other opportunities. Many great leaders often knew little about the business they ran, but they excelled in maximizing the potential of every person in the organization. They listened to their team, felt the pulse externally; they challenged ideas and conventional thinking, they made their team “prove” their ideas not because they didn’t believe, but they wanted to make sure the team believes, they connected the dots, knew the customers, knew the stakeholders and found ways to make the organization overachieve, and lastly they were passionate about what they did because the organization’s success was their driver. NASA needs such a leader. It’s time to restructure the agency. Put the best leader that can be found at the top. Structure the agency so that there is a liaison to the military to ensure synergy and full leveraging of assets and a sharing of technology. Ensure that there are capable deputy administrators skilled in the day to day of operations and budgets. This will allow the leader to focus bringing together the vision and the talent to make NASA the world leader in space exploration for decades to come. NASA needs a leader who can craft a vision and sell that vision to the President, Congress and the American people. We’re falling into the same trap of years past in finding a person to run an agency and not a person to lead the agency. One of the best and often used examples of success in this area is Lou Gerstner at IBM. Gerstner’s pick at IBM was a surprise to many. His history had been at American Express and RJR Nabisco. When Gerstner was selected to run IBM he was as outside as white shirt, blue suit IBM could get, but IBM was floundering. The massive technology conglomerate that was an American institution and an American success story had reached the highest points only to fall to near bankruptcy. Gerstner’s leadership, focus and marketing savvy are credited with saving IBM and positioned them to thrive. He let the IBM’ers do what they do best. His contribution was focus, direction and leadership. This is where NASA is and the direction it needs to take is the same. The organization needs to leverage its immense reserves of talent under a new leader who can craft a sustainable vision that will survive for decades to come. Our lesson from the past is that without strong leaders and a strong vision success is evasive and the lack of direction stirs doubt and leads to waning support from the public and political leaders. Let’s get a new leader and let’s look to outside and resist the government insiders. NASA has shown what it can achieve and good times and lean years. The right leadership can take the agency to places it has yet to explore. Which Fox Was Guarding This Henhouse?